Download HQbird from www.hqbird.com web site. HQbird is an advanced distribution of Firebird for enterprises, with the following list of features: optimized configurations, high availability and replication, backups' automation, database health monitoring, transactions and queries monitoring (TraceAPI, MON$ and FBScanner), database structure analysis, recovery toolset and database development GUI. Also HQbird includes a performance self-test to measure Firebird performance on the specific hardware and OS configuration. HQBird contains 2 parts: server-side and administration. The server-side part has versions for Windows and Linux, and the administration part works on Windows only. There are 3 editions of HQbird: Standard, Professional and Enterprise. Learn more about HQbird at IBSurgeon's web site: http://www.ib-aid.com/en/hqbird. Download MindTheBird! guidance, Firebird presentations, templates and other resources. Join MindTheBird! as Firebird ambassodor, tools vendor or contributor. Prizes and various benefits for the most active Firebird ambassodors: netbooks, free licenses, vouchers and discounts. MindTheBird! 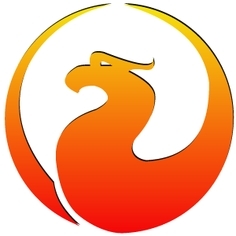 is supported by the leading Firebird-related companies and well-known enthusiasts. Look at the list of MindTheBird! participants and join us! Series of webinars devoted to Firebird will start with "New architecture of Firebird" by Dmitry Yemanov, Firebird technology innovations by Ann W. Harrison and Delphi+Firebird by Marco Cantu. Please stay connected at Twitter, RSS, Google Groups and LinkedIn to be informed. We have 6 tool vendors who provided their licences as prizes. For more information see page "Benefits".